With Independence Day around the corner we felt this appropriately named cocktail made with American Gin distilled in Philadelphia fit the bill. The American Beauty is refreshing blend of Bluecoat gin, fresh lemon juice, raspberries and mint accentuates the seasonal bounty while paying homage to stars and stripes. 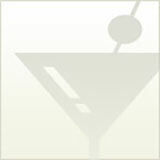 Combine Godiva Chocolate Raspberry Vodka, orange liqueur and fresh lime juice into a martini glass and stir. Garnish with raspberries. Originating in the 1890s, the Floradora is a fresh cool highball cocktail that still stands tall in the 21st century. The refreshing combo of raspberries, gin, lime and a bite of ginger beer is just right on a summer’s eve. The trick with this drink is to pick a gin that is not overly junipery (yep that’s a word). We like Hendrick’s. We used Damrak gin and Barenjager honey liqueur, but feel free to use your favorites!